View More In Compression Gauges. 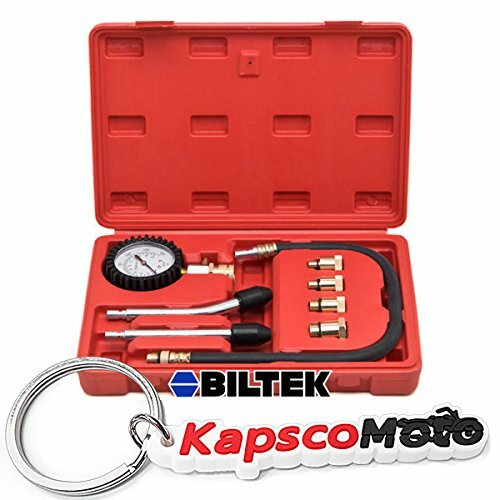 NEW Engine Cylinder Compression Gauge Tester. Complete kit comes with adapters for most applications. Check the condition of your piston ring & valve seats. If the compression is low, put small amount of oil in cylinder and see if compression changes. If no change then the issue could be the valve seats or valve system operation like worn camshaft lobe. If the compression changes then the rings are suspect as to the problem. Tool helps detect the problem cylinder. If you have any questions about this product by Biltek, contact us by completing and submitting the form below. If you are looking for a specif part number, please include it with your message.